Financial planners say that keeping a large sum of money in savings accounts is not a good strategy. In line with a broader decline in interest rates, banks are lowering interest rates on fixed deposits (FDs) as well as savings account deposits. SBI or State Bank of India last month lowered its savings account deposit rate to 3.5 per cent - the lowest in many years. Other lenders like HDFC Bank, Bank of Baroda and Axis Bank also followed suit, cutting their savings account deposit rate. India's largest bank SBI had earlier lowered it fixed deposit rates. SBI is offering an interest rate of 6.75 per cent on one-year fixed deposits while deposits of maturity of 3-5 years now fetch 6.25 per cent. HDFC Bank, the country's No. 2 lender by assets, has also announced an interest rate of 3.5 per cent per annum for customers maintaining an account balances below Rs. 50 lakh in their savings accounts. Financial planners say that keeping a large sum of money in savings accounts is not a good strategy. Liquid mutual funds could be an alternative investors need to looked at. "Savings Account is where lazy money sits and we believe that a 0.5 per cent reduction in interest rates will not influence investors to move away from keeping the money in savings bank. The higher liquidity of the savings bank account and the perceived higher safety continue to be decision influencers," says Manoj Nagpal, CEO of Outlook Asia. Liquid funds invest in very liquid, short-term instruments, of the highest credit quality. The intent is to protect the portfolio from volatility and earn interest income, without taking undue risks. These days, many mutual fund houses have come up with apps for easing the process of investment in liquid funds. Using these apps, you can transfer money from your bank account and redeem your liquid funds. The money gets transferred to your bank account in few minutes. You can start investing with as low as Rs 100. 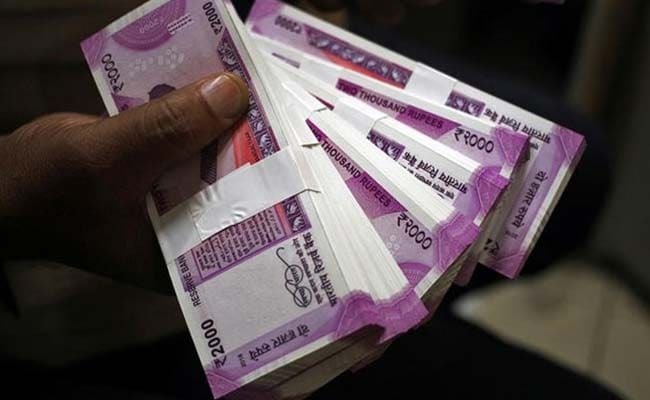 According to the website of mutual fund research firm, Value Research, liquid funds as a category have given a 6.6 per cent return in the past one year. Mr Nagpal of Outlook Asia also suggests accrual debt mutual funds for conservative investors who put their money in bank fixed deposits. Accrual funds mainly focus on earning interest income from the coupon/interest rate offered by bonds. In contrast, duration funds adopt the strategy of generating a big part of their returns from appreciation in bond prices that happen when interest rates decline. Typically, the returns of accrual funds are less volatile as compared to duration bonds. "We continue to believe that interest rates in the short to medium term do not have much lower to go. Hence we believe investors should evaluate high quality accrual funds as a significant part of the debt allocation for the longer term. They will provide lower volatility to investors shifting from fixed deposits whereas duration debt funds may be volatile and not suitable for bank fixed deposit investors," says Mr Nagpal. Staying invested in debt mutual funds for over three years brings additional tax benefits. Debt fund investments redeemed after three years qualify for the benefit of long-term capital gains. The gains are taxed at 20 per cent but become eligible for indexation benefits. You are taxed only on the gains after adjusting for inflation. The indexation benefit helps in bringing down the tax burden considerably, a benefit which is not available on bank fixed deposits.